Data, data, data! We accumulate gigabytes of data every year just by using our computers. Once you start adding in the pictures we take, music and video we download and documents for home and office use that we create, that is a lot of valuable data being stored that could be a massive problem if lost. While I would always recommend regular backups to minimize data lose, not everybody is so vigilant and puts it off until later (and for a lot of people, later never arrives). 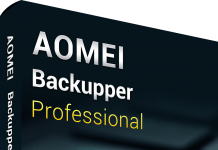 But what would you do if haven’t made a backup? All those years of memories in the form of photos and videos gone because of accidental deletion, or corruption from a virus? In the past, I have worked in a laptop repair centre and had customers in tears when their laptop failed and lost their data but had tears of joy once we managed to recover all of her work and photos (hopefully that customer is now making backups). 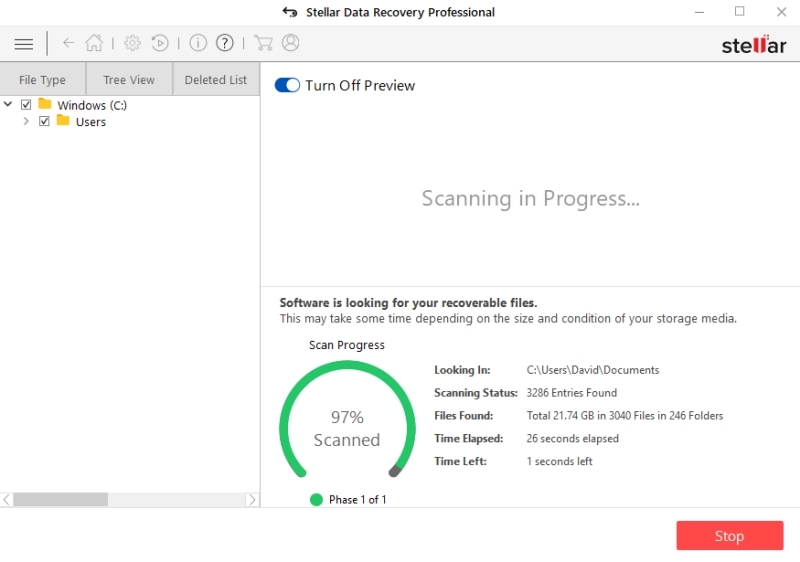 Help is at hand for the home and office user in the form of DIY data recovery software and I was sent Stellar Data Recovery Professional to try out. 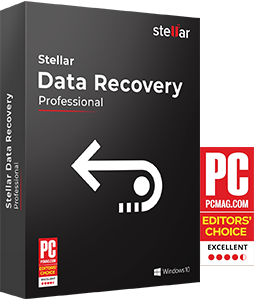 Stellar Data Recovery is a leading data care corporation based in India, with presence in the US and Europe. The ISO 9001 & ISO 27001 certified organization specializes in Data Recovery, Data Erasure, Mailbox Conversion, and File Repair software and services. They have over 25 years’ experience in the field of data care. After downloading the software and installing (this only took a few minutes), I was ready to try it out. On opening the program, you are met with a screen with two simple options; Recover Data or Monitor Drive. 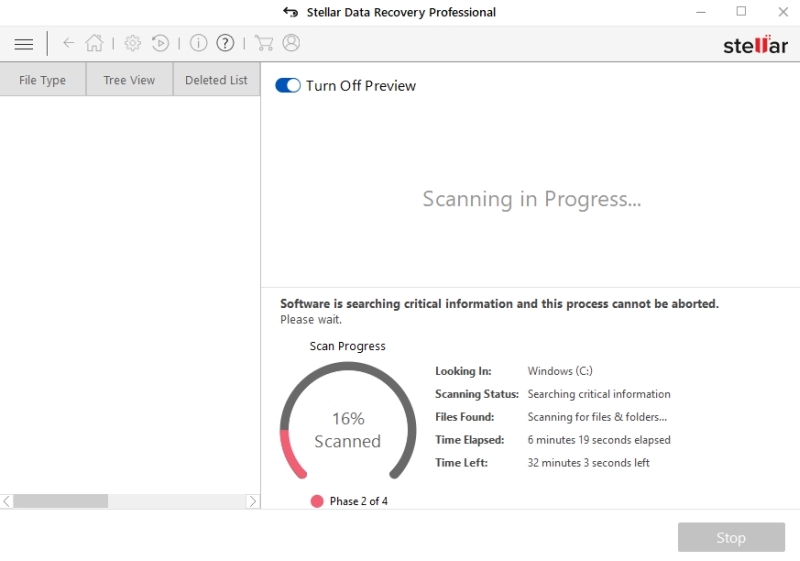 The Recover Data option allows you to scan you hard drive for any deleted data. Depending on what options you select you can scan your entire hard drive or selected folders for all files, photos, audio, video, Office documents and emails. 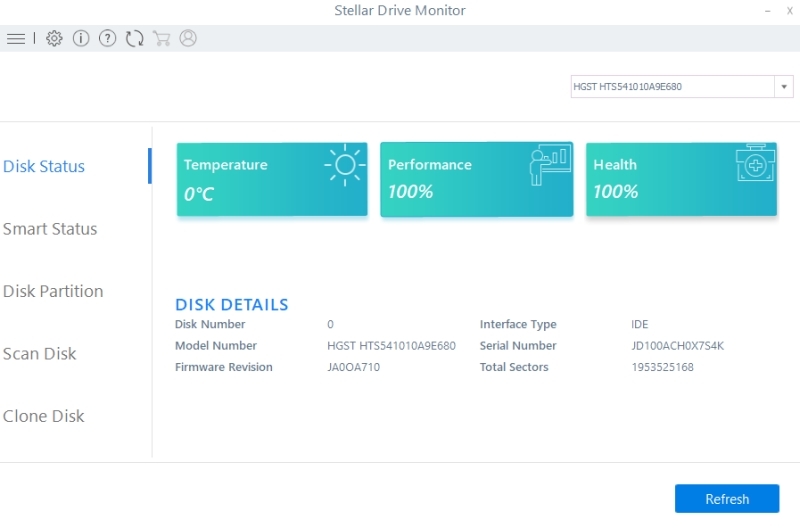 The Monitor Drive option allows you to check the health and status of your hard drive. Using the Recover Data option and selected what type of files to scan for, I chose All Files and just to look in My Documents folder, the scan was underway. It was quite quick (the speed of the scan will depend on numerous factors so will vary for everyone; it will be down to the speed of your computer, hard drive speed, available memory, size of hard disk and how many files and what type of files it is scanning for), and within less than a minute it had found over 3000 files. You can either then request a Deep Scan which will then look in more detail (you would only need to do this if the files(s) you are looking to recover are not shown on the list; please note that this could take several hours, especially if scanning a large hard drive for All Files) or recover the files you need to by selecting the ones your require. Using the Monitor Drive option is simple and straightforward. It gives you information regarding the health of the drive and the Smart status – this will be a pass or fail so you will have an indication if you need to backup your files and replace the hard disk. It even has an option to clone your disk. 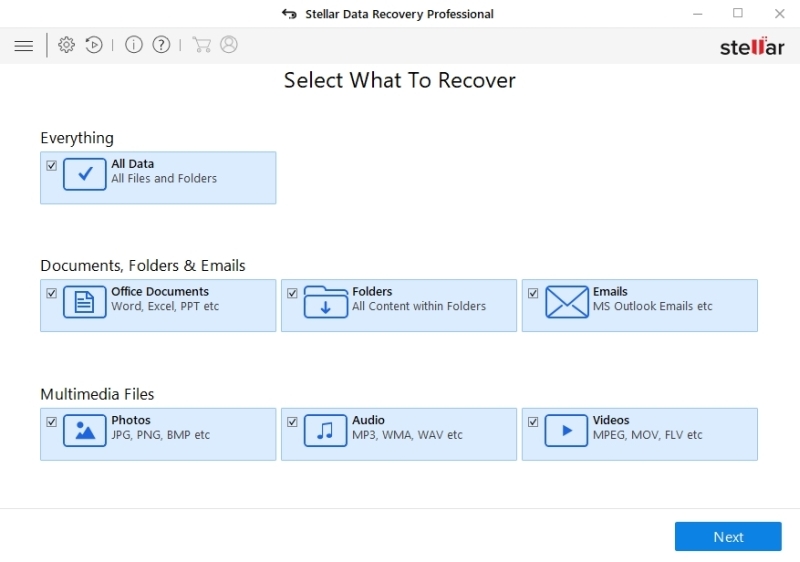 Overall, Stellar Data Recovery Professional is an excellent data recovery program. It is easy to use and is quite fast in its basic mode (Deep Scan is quite slow, but this is the same with ALL data recovery software that I have used). It easily recovered files I knew I had deleted. The interface in clean, uncluttered and simple to understand and use. My only negative is that during the Deep Scan I was unable to stop the process. As it gave an estimated time of over 1 hour to complete, although only took around 30 minutes to complete this phase (bearing in mind this was just the My Documents folder and not the entire hard drive) I would have liked the option to pause or stop the scan (you have the option to stop on phase 3 and 4). That said, while it was doing the Deep Scan it did not slow down my laptop or stop me continuing to work. Remember, always make regular backups. But if the worst does happen then this is an excellent piece of software that will recover those important files for you. I was using the Professional version, but there is also a Premium version which allows you to repair corrupted video and photo files. 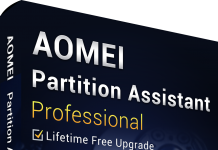 And for computer technicians, there is a Technician version with does the same as the Premium version with the added bonus of recovering from RAID 0, 5 and 6 hard drives. There is also a FREE version available which allows you to scan and preview your lost or deleted data. 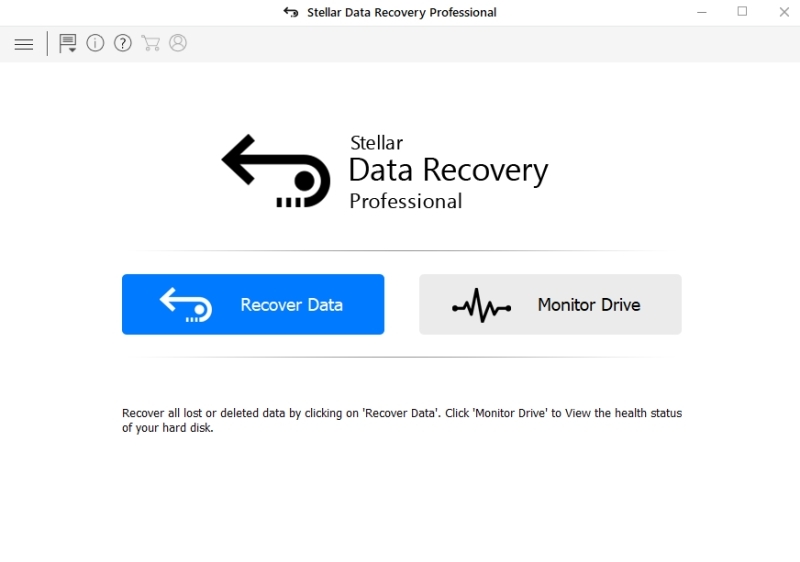 Stellar Data Recovery is available for Windows and Mac. 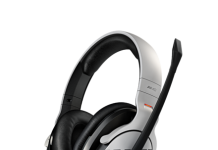 RRP: £59.99 (Professional) / £75 (Premium) / £120 (Technician) – these prices exclude VAT. For more information or to buy visit www.stellarinfo.com.